What a bittersweet time for me! I thought I was going to be ok then I got to work. Needless to say all my faux bravado melted away and I was left sobbing at work. What can I say I am pretty emotional at times. 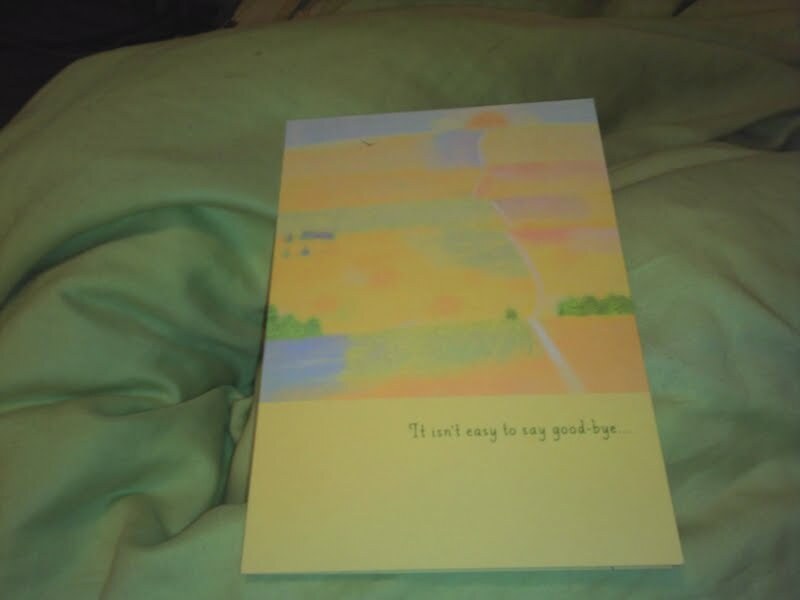 My co-workers gave me a this beautiful card... which did not help the tears! 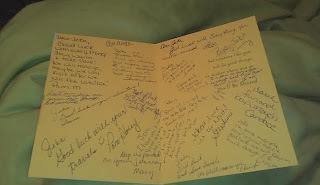 I have to say that I have some of the best co-workers ! They gave me balloons and a cake too and put up with the tears. They are all excited for me to be on this journey and to have this crazy adventure. I am too but my emotions still roller coaster . Now that I am finished work I need to really get on task with preparing for the move. I have 11 days to decide what I am taking North with me, sort through stuff that is staying and tidy up my room. Tomorrow is going to be what I call affectionately "Tote Day". What is this you may ask? Well totes are on sale at Canadian Tire! I am hoping I am able to pick up the size of totes I need (ie will fit all my stuff but not cause too much in overage fees ) and maybe ....just maybe start to fill them. The younger sisters and I are debating going to Saint John to a movie so I thought we might do some tote shopping and maybe find a few pairs of jeans for me too ... ones that do not cost me 60 bucks a pop! Well I will let you know how "Tote Day" goes!